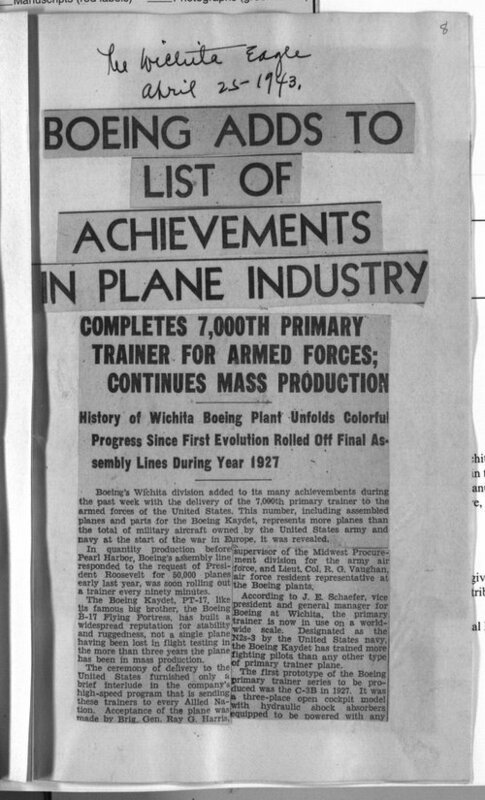 This article from the Wichita Eagle covers the Boeing Aircraft Company's completion of the 7,000th trainer airplane for the U.S. Armed Forces. By 1943, Boeing was producing a trainer airplane every 90 minutes. This article can be used in conjunction with other material on Boeing to give students a solid understanding of Boeing's importance to the U.S. air effort during World War II.